I have such a toweringly tall stack of recipes in my must-make pile that repeat meals are pretty rare in my house. So when I do find myself making something over and over, it’s because it’s so scrumptiously beloved that it distracts me from my pile. Such is the case with my buttermilk rosemary grilled chicken…and aside from being tender and delicious, it always means I have leftover chicken. So I can stretch out the happiness by making things like sesame-lime chicken salad. Once you have your cooked chicken accounted for, you are about 10 short minutes away from a wonderfully crunchy, delightfully citrusy easy chicken salad. The dressing is a quick shake of olive oil, lime juice, sesame oil and salt and pepper. 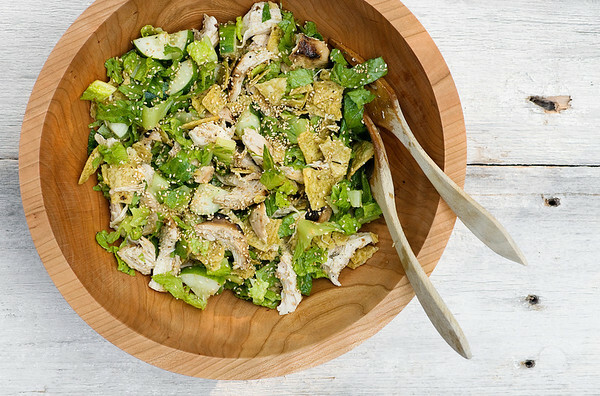 The salad itself is a tossed together mixture of the chicken, some romaine lettuce, cucumber, toasted sesame seeds and crushed tortilla chips. Anyhow…the next time you have some leftover chicken about about 15 minutes on your hands, give this chicken salad a whirl. Shortly after I served mine up, this was all that was left. 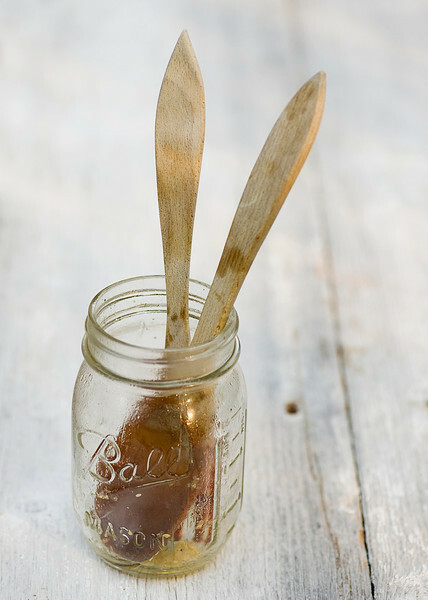 When all that’s left over is a teaspoonful of salad dressing, you know you’ve done good. Make dressing by combining oils, juice and sugar in a jar. Close the lid tightly and shake until well-combined. Season to taste with salt and pepper. 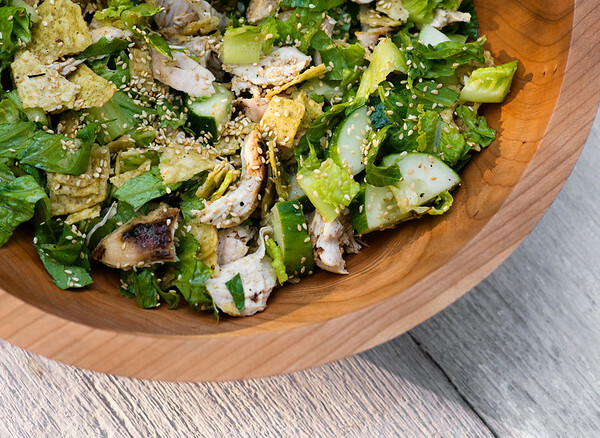 Combine chicken, lettuce and cucumber in a large salad bowl. Pour dressing over salad and toss to coat thoroughly. Add sesame seeds and tortilla chips and toss again. Serve at once. This is definitely an awesome change from the traditional mayo heavy chicken salad! I just know that dressing and I would be best friends forever. So good. =) I only needed juice from one lime to reach the right acidity balance on the dressing. But what a perfect way to make my left-over roasted chicken from last night make it’s 2nd appearance!